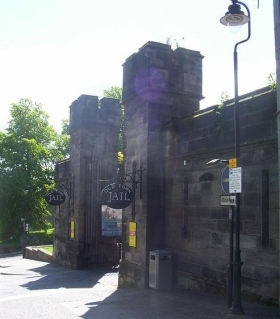 Visitors wishing to visit the Stirling Old Town Jail, the 19th-century County Jail - rescued from ruin in the early 1990s, becoming Stirling's first 5-Star Visitor attraction within the decade which followed - have been destined for disappointment in recent years. Sadly that attraction was closed in 2012 - but will be RE-OPENING in July, August and September 2015! Visitors can alwaysbenefit by popping into the Visit Scotland Visitor Information Centre, located in the Jail grounds. Here those intent on finding food, accommodation, travel information or tickets for events and activities (such as the Stirling GhostWalk) - in Stirling and elsewhere in Scotland - will be well catered for by the friendly and knowledgeable staff.